We inform you that the hotel is located in a pedestrian zone, but our guests are allowed to access it. To facilitate your arrival, we kindly ask you to enter the address “35 Rue Notre Dame” in your GPS (located at the crossing with “Rue Philippe II”). We advise not to input the hotel address in your GPS. Arrived at this destination, you may enter the pedestrian zone on your left, on the “Rue Philippe II”. Take the 3rd street on your right to “Rue de la Poste”. 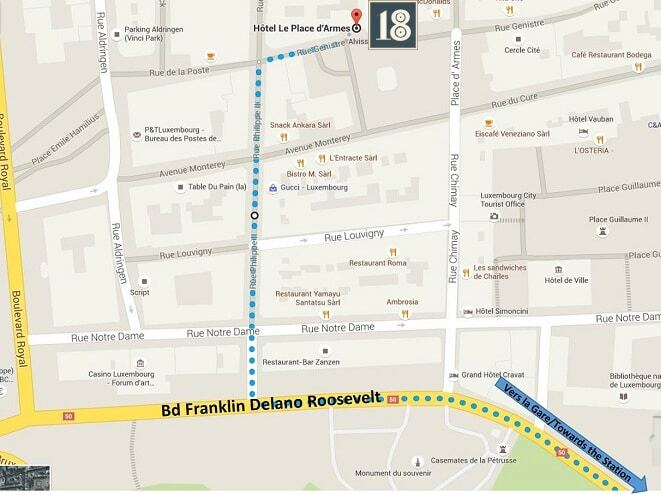 After 100 meters you will be on the Place d’Armes where you will find the hotel on your left hand at the number 18. Our valet will be glad to help you with your luggage and will park your car in our secured parking. Our parking is only accessible for our hotel guests. 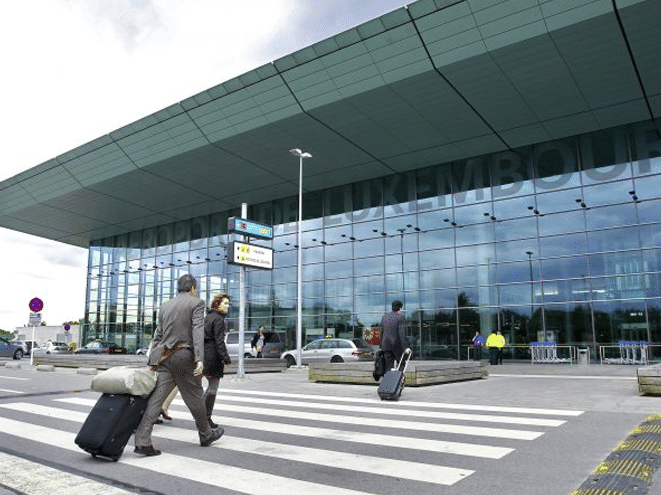 The Luxembourg-Findel airport is a 15-minute drive from the Place d’Armes Hotel. Our team will be pleased to book a private chauffeur or a taxi for you, to make your arrival easier. We advise you to go off the bus at the Hamilius stop which is a 3-minute walk from the Place d’Armes Hotel. 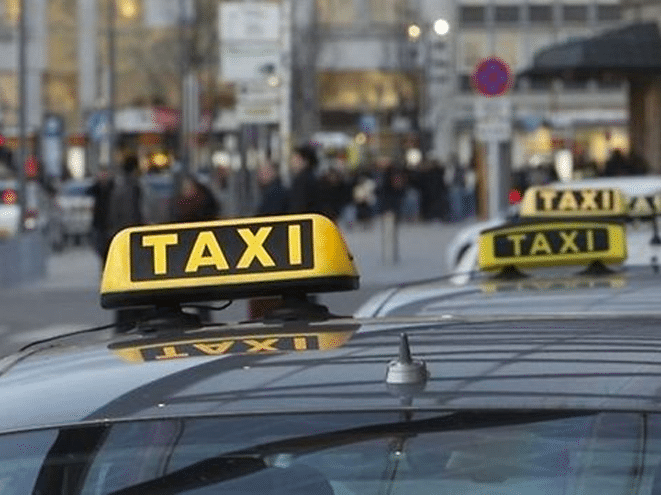 Our team will be glad to book a private chauffeur or a taxi for you, to make your arrival easier. The closest bus stop from the Place d’Armes Hotel is called Hamilius. 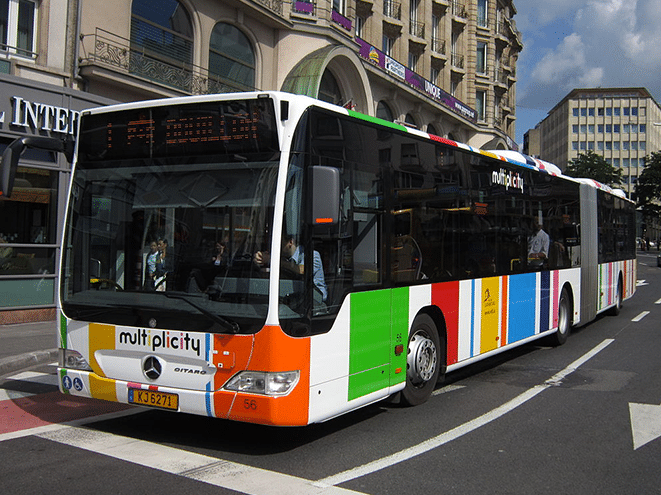 Most of Luxembourg buses are stopping at Hamilius, which is located in the heart of the city.